There is perhaps no place on Earth that is home to more architectural kitsch than Southern California. 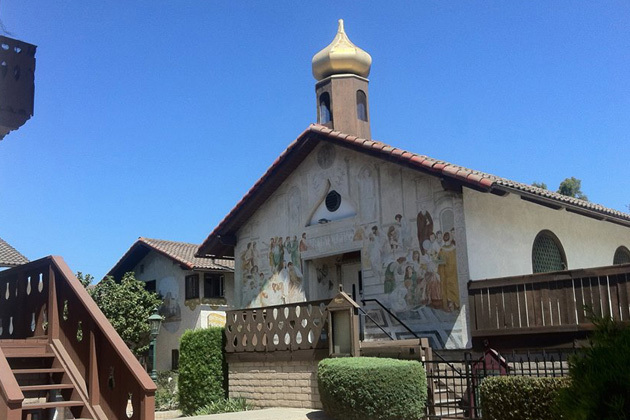 “Kitsch” is itself a term that migrated to the English language from the German, just as many German-speakers did to Los Angeles and its environs. 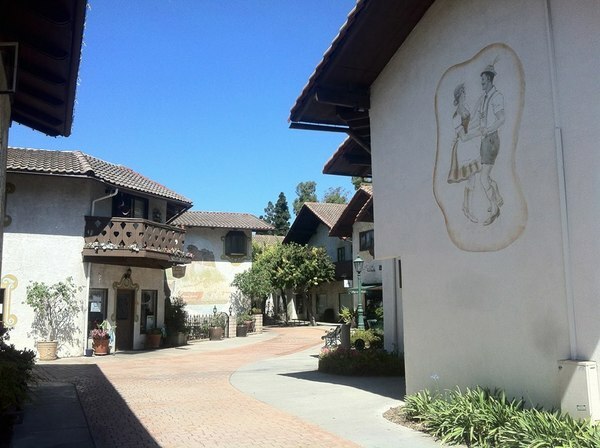 Although not often acknowledged, Americans of German ancestry comprise one of the largest ethnic groups in Southern California, and where they’ve attempted to recreate the spirit of Bavaria in the Southland, I’ve decided to explore. While Germany had no official colonies in North America, in the 18th Century German immigrants established small colonies in states like Georgia, New York, Pennsylvania, and Virginia. Few Germans lived in Spanish-controlled California, and it was only after the independence of Mexico that large numbers began making their way to Mexico City, Puebla, Veracruz, and Yucatán. In a Los Angeles census undertaken in 1836, only one German was listed amongst the 46 foreigners: one “Juan Domingo” (né Johann Groningen), a carpenter who survived an 1829 shipwreck in the San Pedro Bay and who apparently found Los Angeles to his liking enough to remain. After the U.S. assumed control of California, the first large wave of German immigrants arrived, many fleeing civil unrest and high unemployment at home. They were employed in various occupations but seem to have been especially respected as bakers. In the latter part of the 19th Century, the Eastside was Los Angeles’s breadbasket and it was in what was later known as Lincoln Heights that Mrs. Cubbisons (known for its croutons and stuffings) was established by a German-American. German-Americans also established gymnastic societies, German language schools, fraternities, and societies like the Phoenix Club in Anaheim, a community born when German-American vintners George Hansen and John Frohling bought a large swathe of land and established the Los Angeles Vineyard Society, in what they named Annaheim (an “n” was later dropped), in 1857. Another wave of Germans (and Austrians) came after Hitler‘s rise to power. Hitler and the Nazis famously hated artists, homosexuals, intellectuals, Jews, Leftists, Romani, and many others, and to say they weren’t fans of his would be an enormous understatement. 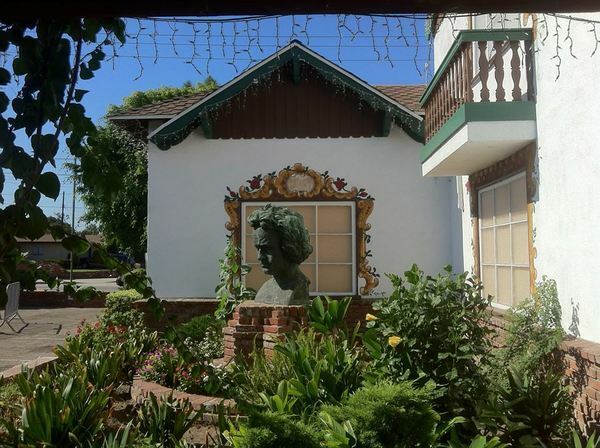 Rather than remain and possibly face death, roughly 1,000 prominent musicians, playwrights, novelists, composers, philosophers, architects, painters, filmmakers, and actors made their way from Austria and Germany to Southern California. Germany’s loss was Hollywood‘s gain and film figures like Billy Wilder, Fritz Lang, Hedy Lamarr, Max Steiner, Peter Lorre, and Robert Siodmak (who followed a previous wave that included Carl Laemmle, Ernst Lubitsch, Josef von Sternberg, Marcus Loew, Marlene Dietrich, Michael Curtiz, and William Wyler) were able to, in many of their cases, translate German Expressionism into the most Los Angeles of film genres: film noir. While some emigres (like Arnold Schoenberg and Thomas Mann) found their new home to their liking, others (like Bertolt Brecht) compared it to, well, Hell. Whether they liked them or not (and they probably did not), the expats here found Fascists who, though often not of German ancestry, were big fans of Hitler — kooks like Norman and Winona Stephens, who spent millions building the Murphy Ranch compound in the Pacific Palisades; and Henry Allen, who ran the German-American Bund and “bombed” California with Right Wing propaganda/litter. German-Americans today make up the largest ancestral group in the country, and the largest population of German-Americans in any state is in California. 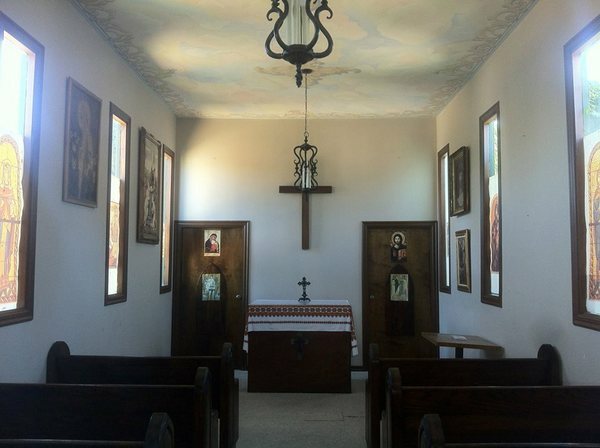 Most German-Americans have little real connection with their ancestral home — their ancestors having arrived long ago and thoroughly assimilated into Anglo America. Today German is spoken at home by fewer than 30,000 Angelenos, making it only the sixteenth most spoken language in the city. Nonetheless, many things thought of as exemplary of American (or even Californian) culture have their roots in Germany — things like Christmas Trees, hamburgers, and hot dogs (aka frankfurters). It came as something of a surprise to me, then, that the German-themed places I visited were all established or at one point owned by genuine first generation German immigrants. 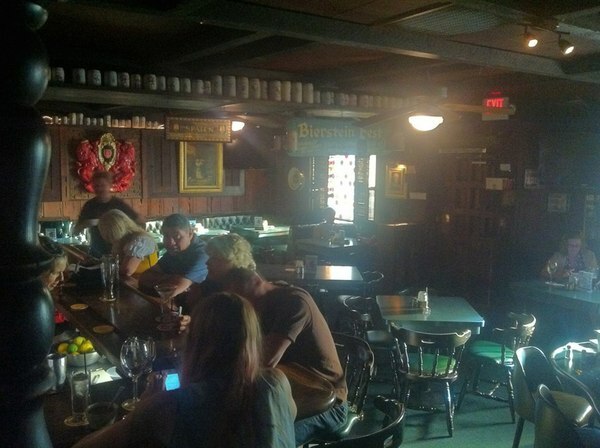 In Silver Lake there’s a well-known gasthaus called the Red Lion Tavern. Interestingly, when it opened in 1959, original owners Edward Pagliano and Ted Mandekic were going for an Olde English vibe and the name “Red Lion” is shared by over 700 pubs in the UK. 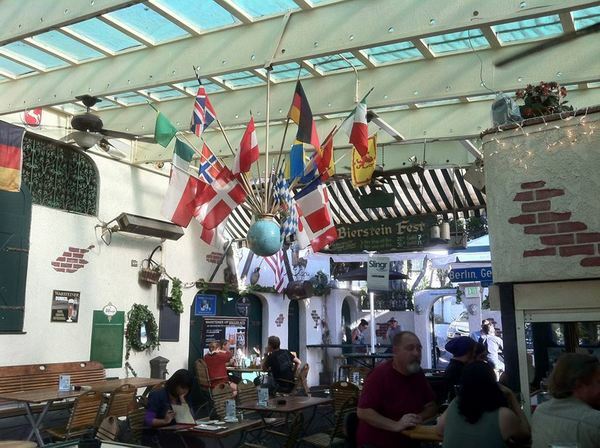 In 1963, when a German bought the Red Lion and transformed it into a German gasthaus which it remains today. The next owner as well as the current owner have all been from Germany and at any time you’re likely to overhear German being spoken by patrons enjoying a Warsteiner or other beer. Later additions to the Red Lion like the second floor room (where I recently watched Germany defeat Algeria in the World Cup‘s Round of 16 on their way to ultimate victory) and the biergarten were Bavarian from the beginning. It seems that Bavaria, with its postcard-perfect castles and cathedrals, healthy beer culture, and buxom bosom-flattering dirndl, is the de facto region that German theme businesses aspire to recreate not just at the Red Lion but around the world, as I found to be the case when I descended into Der Löwe in Taipei a few years ago. Bavaria is the go-to German theme for entire villages in America, like Leavenworth (in Washington), Helen (in Georgia), and closer to home, a couple of village like shopping centers, Alpine Village in West Carson and Old World Village in Huntington Beach. Alpine Village was built in 1966 by German-American immigrant Josef Bischof, who had moved to the US four years earlier. He began construction of the Bavarian-themed shopping center in 1965 but it seems that it wasn’t until 1968 that the village hosted its first Oktoberfest – originally an event designed to celebrate the marriage of King Joseph Maximillian of Bavaria‘s marriage to Princess Theresa of Saxony in 1810 but now, from all appearances, an excuse to drink loads of beer and dance to “Der Ententanz.” For those who consider themselves to be beer connoisseurs (or desire to appear as such), there’s also now an Alpine Village Kraft Bierfest and other events like the Motown Comedy Slamm [sic] to attract life-sustaining crowds. 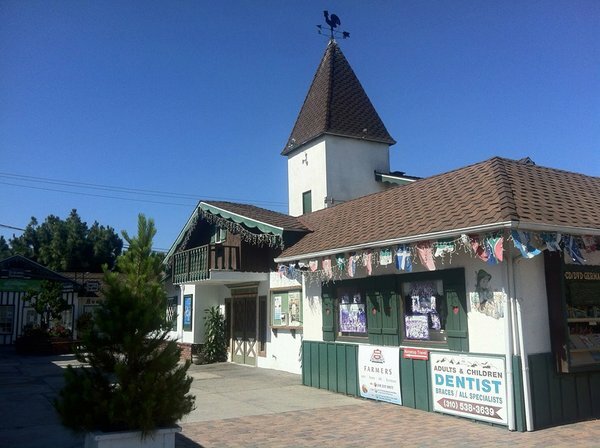 Alpine Village is located within unincorporated West Carson, just outside the city of Torrance, a city most famous for its large Japanese population (the second highest percentage on the continent) and Japanese-dominated character, but German-Americans comprise Torrance’s second largest ethnicity (although the largest foreign-born populations are from South Korea and Japan). When I visited Alpine Village I discovered the northern part of the vast parking lot surrounding it was hosting a swap meet – which from the outside (you have to pay for the privilege of entering) had the raggedy semblance of a semi-permanent refugee camp. Judging by the flow of customers, however, it did seem to be much more popular with visitors than the charming (and almost all closed) shops of Alpine Village, which was by comparison almost lifeless. The one exception to Alpine Village’s emptiness was at the Alpine Market, in which I was somewhat surprised to hear German being spoken by one man and another extolling the bakery’s marzipan – as well as the Austrian boy-Volkstümliche-Musik-band, Die Grubertaler. 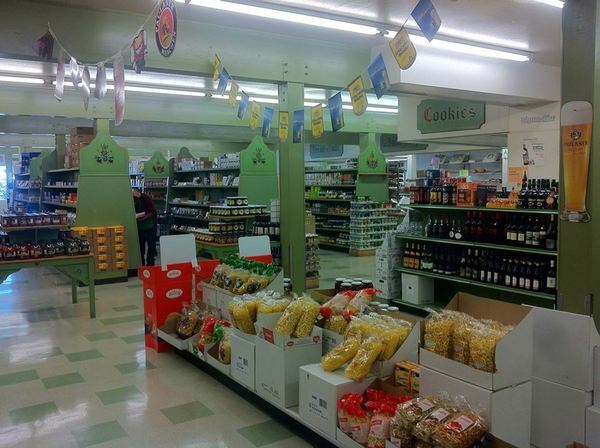 The aisles of the market were filled not just with German products but an assortment of Central and Eastern European products, like the Maggi (a Swiss brand) instant spätzle and Polish apple and horseradish relish I picked up. I was also told by friends from Torrance that the village plays host to a weekly goth and industrial night called Berlin Nachtklub. I doubt that all of the music spun is German (apparently Dr. Dre used to DJ electro-funk in the klubhaus and the village also hosts Salsa Tuesdays and Latin Wednesdays) but if anyone wants to start a Krautrock or Neue Deutsche Welle night, jawohl! 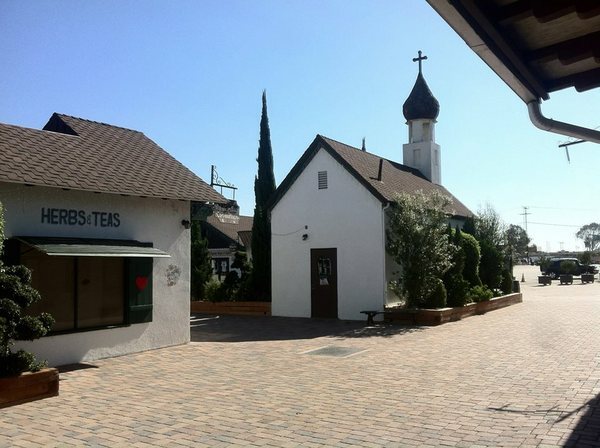 Old World Village was also developed by Bischof after he split with his partners at Alpine Village and is more ambitious both in scale and scope than the older shopping center. In 1978, during the ugly peak of separate-use zoning, Bischof purchased a three hectare tomato patch and dared to build a German-themed mixed-user. There are more than twice as many shops in the Old World as in the Alpine but in the former there are residences above which are purportedly home to about 150 people. It’s perhaps even more surprising, then, how lifeless Old World Village has seemed on both of my visits. Frankly, some of the shops look as if they are never open; in more than one hung a dusty, faded sign stating that they were “temporarily” closed due to illness, available by appointment, or in other cases, open for just two hours a day. As with Alpine Village, most of the stores seem to sell (or at least stock) chintzy German souvenirs and among the few stores that were open were a couple of beauty salons and shoe stores. As with Alpine Village, Old World Village’s bread and butter (or Butterbrot) is supposedly its annual commemoration of the royal wedding/beer-a-thon, Oktoberfest. It’s also well-known, apparently, for its dachshund races. Interestingly, Germans are the largest ethnicity in Surf City and from what I’m told by my (in almost all cases non-German) friends from in the area, Old World Village’s Oktoberfest is pretty crazy and – depending on individual attitudes toward craziness – a good deal of fun. 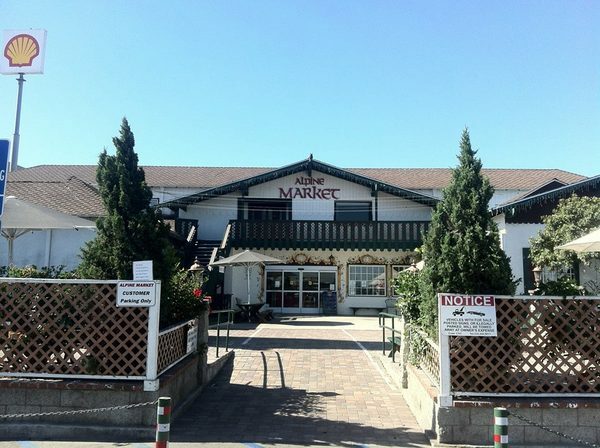 Old World Village has many of the same features as Alpine Village albeit on a grander scale, like the Old World Village Church, a hall, and a market. There is also, for the truly devoted, the Hotel Europa, where visitors can stay for extended periods although aside from during Oktoberfest I’m not sure what exactly for. 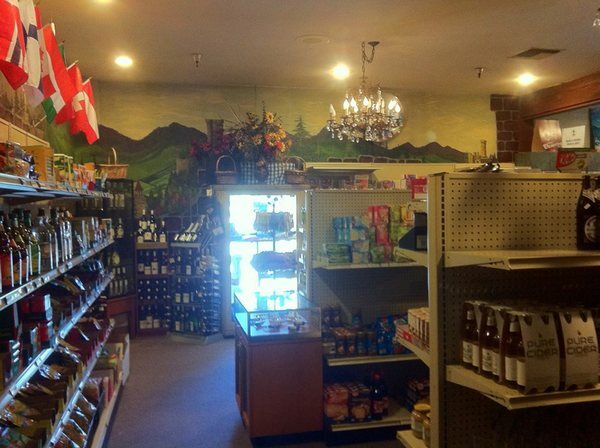 I popped into the Old World Bakery & German Deli for a bit because it was, aside from the aforementioned shops, one of the only places open during lunch – which I resorted to getting at the very busy Guiliano’s in Gardena. Whereas Alpine Village catches the eye of anyone who passes it on Torrance Boulevard, Old World Village seems hidden beneath the 405 freeway, dwarfed by the newer (but also, if less-knowingly, kitschy) Bella Terra mall, and located within the long shadow of the tall, gleaming, and utterly generic One Pacific Plaza office tower. All of Old World’s neighbors intrude upon the fragile illusion, as did the incessant noise of leaf-blowers and weed whackers. The only other sound I heard, aside from someone coughing from within their residence, came in the form of the strains of Norwegian pop act a-Ha‘s “Take On Me” drifting from an open window. If you want to hear ’80s music by German artists you’ll have more luck in the nearby Vietnamese nightclubs. Walking the streets of Old World Village I feel less like a traveler in Bavaria than the protagonist in Rolf Forsberg‘s Stalked or Patrick McGoohan trying to escape “The Village” in The Prisoner (although I see no bouncing, white orbs preventing my escape). It’s hard to believe given either Old World’s or Alpine’s bleak emptiness but apparently events like Oktoberfest generate, dog races, swap meets, and customers looking for European groceries are enough to keep them open. I hope they remain because when the fake crumbling plaster exposing fake bricks begins to crumble for real, a sort of unexpected authenticity creeps in that their new, shiny neighbors lack… for now. Red Lion, on the other hand, seems always to be doing quite well, if never more-so than when Germany is yet again marching toward World Cup victory. Take any of them for granted, however, and they might go the way of the much-missed Lowenbrau Keller. The Red Lion Tavern is located in Silver Lake, Los Angeles, along the route of Metro‘s 92 Line. 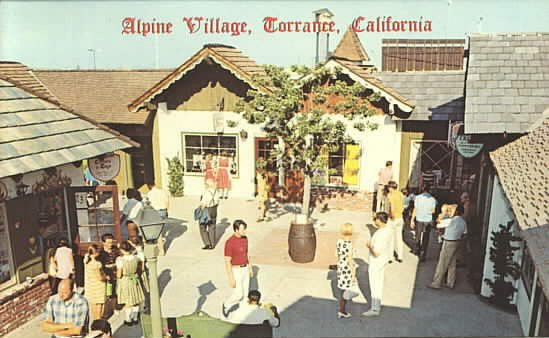 Alpine Village is served by Torrance Transit‘s 1 and 4 lines, as well as Metro‘s 205 and 550. 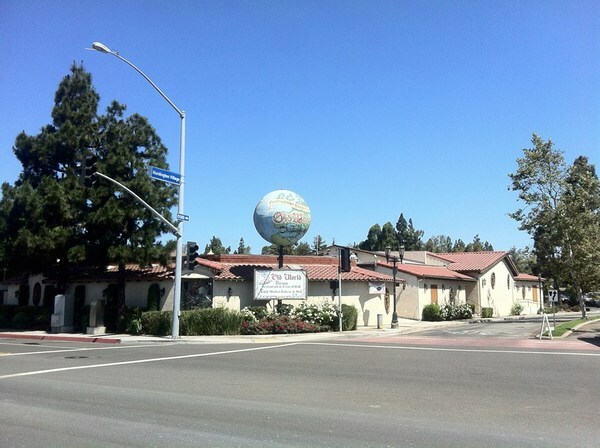 Old World Village is located in Huntington Beach and is serviced by OCTA lines 29, 70, 211, and 701.